Mayor’s Hall, High Court and colonial districts. Visit St. John Church. & St. Mary Cathedral Church. Dinner at Karaweik restaurant floating on Kandawgyi Lake. Overnight at Taw Win Garden Hotel. Visit Yangon Jewish Temple/ Musmeah Yeshua Synagogue. Lunch at Moon soon restaurant. Dinner at Golden Duck restaurant. Transfer to airport & fly to Heho. Lunch at a local restaurant. Dinner at a local restaurant. 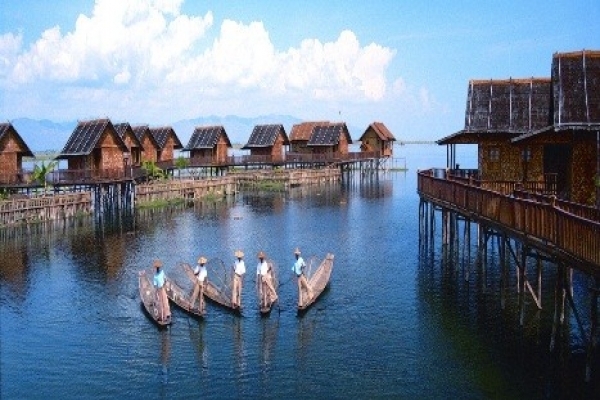 Overnight at Inle Rsort & Spa. 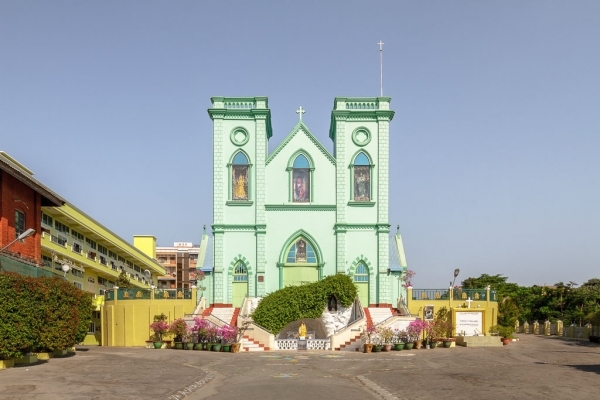 Visit Church of the Immaculate Conception. 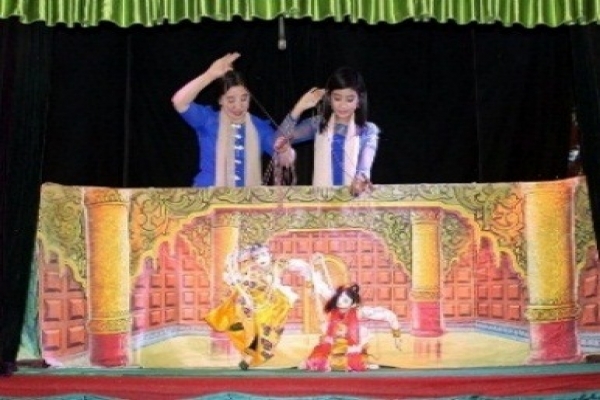 Transfer to the Mandalay Marionette Theater. 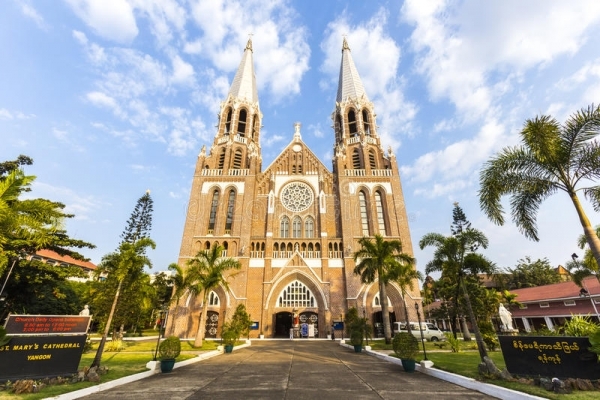 Visit Sacred Heart Cathedral in Mandalay. Sightsee Royal Palace (Mya Nan San Kyaw). view over the region (by the lift). Transfer to Airport & Depart to Yangon. Do you want to plan your own trip? Whatever the case is, our team will craft a customised trip based on your personal interests and style. 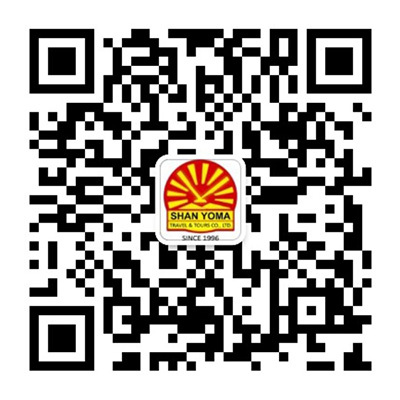 Shan Yoma Travel & Tours was founded in 1996. 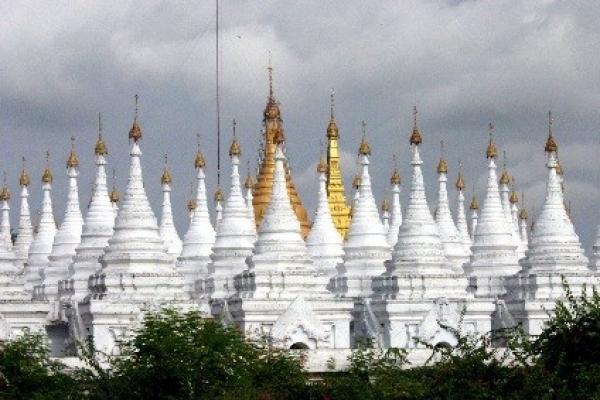 Our company provides all tourism related services and is a leading inbound and outbound tour operator and professional MICE (Meeting-Incentive-Convention-Exhibition) organizer in Myanmar. The following Terms and Conditions govern the usage of this website and booking system. Imedia International (Myanmar) Co. Ltd and Booking Systems International (hereafter defined jointly as "Website Vendor") is authorised by their client Shan Yoma Travel & Tours Co. Ltd. and its associated companies (hereafter defined as "Operator" whether individually or in aggregate) to design the website, and process all online enquiries, bookings & payments for their hotel rooms and / or tours and / or rentals and / or transportation tickets (airlines, trains, cruises, coaches, hot air ballooning flights, etc), made through this website. 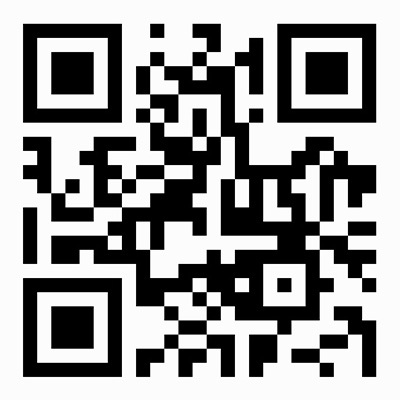 All information appearing on this website is provided & updated directly by the Operator. As such, the Website Vendor cannot & does not accept any responsibility or liability for the accuracy or lack of, concerning any information (including but not limited to photos, videos, images or text) posted on this website, or for any errors, omissions or misrepresentations, made by any of the Operator(s) on this website. The user of this website agrees that under no circumstances shall the Website Vendor be held responsible or liable for any damages or losses of any kind arising from the usage of this website's information or services. The Website Vendor and /or the Operator on this website reserve the right to change any information on this website at any time and without giving prior notice to, or recourse by users. The user of this website agrees that the booking confirmation (or voucher) issued by the website is a contractual arrangement of purchase made directly and solely between the user and the Operator listed on the booking confirmation (or voucher). The Operator is solely responsible for the fulfilment of the user's online enquiries, booking and special requests (if any) stated on the booking confirmation. The user agrees that the Website Vendor shall not be responsible or liable, in the event of any non-fulfilment or unsatisfactory fulfilment of any rooms, tours, rentals, transportation tickets, products, services stated on the booking confirmation, or in the event of misrepresentation or lack of accuracy provided by replies from the Operator concerning the online enquiries from the user. The user agrees that all such matters, including any disputes, or claims for refunds, liabilities, damages or losses, will be the sole responsibility of the Operator, and settled directly only with the Operator. The user agrees that the Website Vendor is not responsible or liable for all matters concerning cancellations and refunds, including any disputes, or claims for refunds, liabilities, damages or losses, and the user indemnify the Website Vendor from all such claims and liabilities. In using this website, the user agrees not to hold the Website Vendor responsible or liable for any losses or damages, failure of refunds or settlements, including without limitation direct or indirect, arising in connection to any lack of accuracy, misrepresentations, falsifications, errors, omissions, under-fulfilment or non-fulfilment by the Operator or any other third party suppliers that may be represented in this website. The user further agrees that the Website Vendor shall not be a party (whether direct or indirect) of any legal proceedings or claims that may be issued by the user against any non-fulfilment or unsatisfactory fulfilment of any rooms, tours, rentals, transportation tickets, products, services booked or purchased from the Operator or any other third party suppliers represented on this website. All online payments made on this website are directly processed by Paypal's secured international payment gateway. As such, the Website Vendor does not retain any of the credit card details that may be submitted by users of this website. The user agrees that the Website Vendor shall not be held responsible or liable for any loss or theft of any credit card details, or any damages or losses that may be suffered by the user, as a consequence of the loss or theft of their credit card details. The user's continuing, proceeding, or completion of any enquiries or transactions via or through this website (including any transactions initiated via this website and subsequently completed via other means such as (without limitation) in-person or over the phone), is done so on a voluntary basis by the user, shall be deemed to constitute the user's cognizance, acknowledgment, acceptance of and consent to (as the case may be) the use & storage by the Website Vendor, the Operator and/or distributors or other providers providing products and services via this website, of the user's submitted / registration data and particulars and other provided personal identification user information. The user also agrees that transmissions and processing of their enquiries or transactions by this and affiliated sites may involve the storage, transmission of, access to, or modification or adaptation for technical or formatting purposes of, their personal data and data relating to the user over networks located in one or more countries. The Website Vendor does not take any responsibility for and expressly exclude any liability for any unauthorised access to the user's personal or submitted / registration data in the course of pre-processing, processing, post-processing, or storage or archiving of the user's personal data or particulars following the user's provision of such data via this website. If at any time, the user has any doubts as to the possible intrusion, loss or theft of their personal registration data, financial or credit card details, or in particular, if the user is from European Union, and if at any time, such user has any doubts as to any possible non-compliance by this website of data privacy that is in accordance with The General Data Protection Regulation (GDPR) which came into effect across the European Union on May 25, 2018, the Website Vendor and the Operator strongly recommends the user not to proceed with the provision of any type of personal data, financial or credit card details to this website or any sites that may be accessible through links available on this website. If in doubt about data privacy at any time, the user should not proceed with providing any information at the website. The Website Vendor also recommends that the user not to provide any personal data, financial or credit card details when accessing this website through a publicly available computer or network. In using this website, & providing any personal data, the user specifically warrants and declares that: (1) he / she is of a minimum user age of 16 and / or does not require any parental consent to use or provide information at the website, and (2) he / she provides & submits their personal data and any other information on a voluntary basis, and (3) he / she consent for such information submitted to be processed and stored for a period of time, as deemed operationally necessary by the Website Vendor, the Operator and/or distributors or other providers providing products and services via this website, and (4) he / she agrees that the information provided may be used by the Website Vendor, and/or distributors or other providers providing products and services via this website, for the purpose of engaging with the user regarding their enquiries or bookings. If at any time, the user does not agree to any of the user declarations stated above, the user should not proceed with providing any information at the website. The user agrees that the Website Vendor shall not be held responsible or liable for any loss, theft or unauthorized use of any personal data, financial or credit card details submitted through the website or booking system, or any damages or losses that may be suffered by the user, as a consequence of such loss, theft or unauthorized use. When making an enquiry or booking through the website, the user warrants that accurate, true and complete information is given in their online registration including valid credit card details. The user of this website agrees to accept email as a means of communication. Booking confirmations (or vouchers) sent via email shall therefore satisfy the legal requirement for binding communications between the user, the Operator, and/or third party distributors / suppliers associated with the online contract. The user agrees that the Website Vendor shall not be held responsible or liable for any non-receipt of booking confirmations (or vouchers) or email confirmations, as such are dependent on third party internet providers and worldwide internet traffic, which are elements not controllable by the Website Vendor. The user of this website agrees that under no circumstances shall the Website Vendor be responsible or liable for any damages or losses of any kind arising from the usage of this website's information or services. Additionally, the user of this website agrees that the Website Vendor shall not be held responsible or liable for any losses, damages, or injuries that may be sustained by the user when consuming or utilising any products or services (such as hotel rooms, tours, cruises, flights, car rentals, hot air ballooning, etc), that may be provided or arranged by the Operator, or any other third party providers and/or distributors, whose products and/or services the user may have purchased via this website. In some circumstances, the Operator may not be able to honor the booking confirmation for reasons, which is beyond their control. These reasons may include but not limited to government regulations, environmental or natural disasters. At the same time, payment or booking transactions over the internet may be subject to interruption, blackout or delays during transmission. The user of this website agrees that the Website Vendor shall not be responsible or liable for any losses or damages that may be incurred by the user under such circumstances, as any form of transaction done online is a contract made directly and solely between the user and the Operator. The user agrees that the Website Vendor is not a contractual party to any transaction done online through the website. This website may contain certain links to other websites. Such other websites, unless expressly stated, may not be operated by the Website Vendor, and as such, the Website Vendor does not purport to make any representations (express or implied) whatsoever as to the contents and/or nature of the websites to which links may be provided via this website. Any and all such links are provided purely for convenience of the user. For the content of the linked pages or external information sources, the operators and owners of these pages and information are exclusively liable. The Website Vendor does not accept and responsibility or liability, and shall not be held responsible or liable under any circumstances, for any contents or transactions conducted by the user via any sites accessed using links provided at this website. All interactions, transactions and/or communications engaged in by the user with or via any sites accessed via links provided at this website are completely at the user's own risk and may be subject to, inter alia, the terms, conditions and policies of the site(s) accessed via links provided at this website. If the user accepts the products and services provided via this website, a contract may be deemed to have been made online between the user and the Operator. The user agrees, via their acceptance of any products and services provided via this website, to waive unconditionally and irrevocably, any right to challenge any contract made electronically via their acceptance of products and services provided via this website, on the ground(s) that such a contract is unenforceable in part or in full because such contract was made electronically. All products and services purchased through this website shall not be challenged nor any refunds or other compensation provided except in case of validly effected cancellations or changes and in all cases, subject to such terms and conditions prevailing for cancellations & refunds. No purchases or transactions shall be conducted via this website from any jurisdiction where any such transaction or purchase would be deemed or considered unlawful. Third party service providers and/or distributors whose products and/or services the user purchases via this website may impose certain terms and conditions upon the user. The user agrees to be bound by such terms and conditions and, via their purchases of such products and services, waive any rights to challenge the validity or enforceability of such terms. The user agrees that the Website Vendor shall not be held responsible or liable for any claims in respect of any unsatisfactory or less satisfactory products or services purchased via this website and ultimately provided by the Operator or any other third parties, including but not limited to, airlines, hotels, tour companies, car rental companies, cruise companies, train companies, insurance companies, and other entities. There may be cases where third parties whose products and services are offered via this website, transfer to another operator without prior notice being given to the user, and the user agrees that the Website Vendor shall not be held responsible or liable for any inconvenience or loss resulting from the same. The user agrees to deal directly with the Operator for such inconveniences or loss. All prices quoted on this website are the sole responsibility of the Operator, and subject to change without prior notice up to the point of full payment receipt. Some bookings may attract service and / or booking fees and other transaction charges & levies, and all such charges must be paid by the user as and when required. Third party service providers ultimately providing travel services such as hotels, cars, packages or cruises- may reserve the right to amend or change availability, prices, fare conditions and class of travel at any time without notice. In addition, certain route restrictions and/or other conditions may be applicable to specific products and services offered via this website. In the event that booking is disrupted during the booking process, the user agrees that the Website Vendor shall not be responsible or liable if the same item or price is no longer available in the system. Any disputes arising from the use of these services shall be governed by the laws of the Republic of Singapore or a jurisdiction decided by the Website Vendor, and shall be legally binding on all parties.